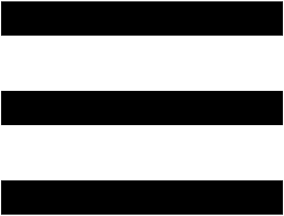 The Treksta was formerly Dong Ho Co., a manufacturing company, which was founded in 1988 by D.C Kwon. D.C was born in a small village in South Korea. After he graduated from college, he entered Sewon Group, the manufacturing company for athletic footwear, as a member of Global Sales Team. Later in August 8, 1988, 8 AM, he founded Dong Ho Co., the manufacturing company, which had been producing almost all the world’s well known footwear brands since then. With the goal to make a difference in footwear industry, he launched the brand ‘Treksta’ in 1994. D.C is also well known as an inventor in footwear industry. He alone holds more than 17 patented technologies in footwear. He was the first one in the world who made ‘Light ‘hiking boots. 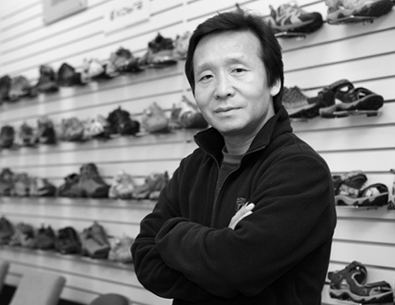 Also, he invented ‘Ice Lock Technology,’ ‘Independent Suspension Technology, and ‘NestFit Technology.’ He is the creative force for Treksta, Inc., and he is the 11th President of Korean Footwear Industries Association. 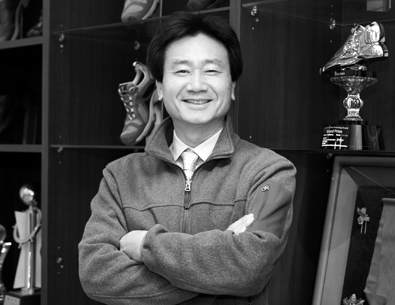 Founder/ President of Treksta Inc.
11th President of Korean Footwear Industries Association. Built Star-Lake Factory. Treksta’s own factory in Tianjin, China. 1988.8.8. 8 AM, D.C Kwon found Dong Ho Co.
1988Joined Sewon Group, the manufacturing company of athletic footwear as a member of Global Sales Team. Achieved B.A in Economics –Dong-A University. Born in Yae-Chun, small village in South Korea. footwear, he joined Treksta in 1992, and he had a long career as a product developer. S.W has been playing an important role in developing Treksta’s up-to- date technologies and designs. 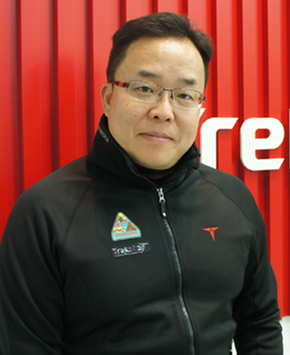 Since he joined Treksta in 1992, he has been in the center of developing the first Light Trekking shoes, Independent Suspension Technology, NestFit Technology, and Kobra. In 2007, he became an Executive Managing Director, and he took an important role in the strategic growth of Treksta brand. As a Managing director and Global Sales Executives, S.H oversees business and strategic direction for the Treksta Brand’s global footwear and clothing business, as well as Hypergrip’s sole business. With the background of International Trade and Business, he joined the Treksta Global Sales team in 1999. In 2001, he became a team manager, and he has launched Treksta in more than 30 countries since he held this position. TrekSta & Hypergrip Team Director. B.A in “ International Trade and Business” Dong-A University,Korea. As a Director of Treksta Europe and Hypergrip Europe, Charly oversees brand’s successful operations and strategic direction in Europe. Charly is also a professional windsurfer. He was awarded 3 times as a world champion, 7 times European champion in windsurfing. After that, he built a long career in product development. Last job he held was in HEAD as a product manager. Charly joined Treksta in 2010, and he takes an important role in the expansion of the Treksta brand in Europe. TrekSta Europe director, Hypergrip Europe director.